If you like your velvet blazers when the fall season starts, why not try what Inserch is a all about. Style. 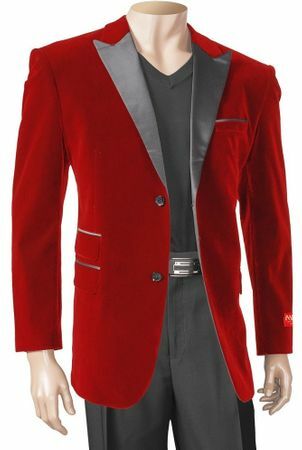 This red with black satin lapel velvet blazer has the style that has made Inserch a style minded brand name for over 30 years. Featuring a single breasted style with side vents and ready to be seen wearing on Friday or Saturday night.